Heat oil in a large nonstick skillet over medium-high heat. Season steaks with salt and pepper then add steaks to pan and sear 5 to 7 minutes on each side. Cook steaks until steak has reached desired doneness. Remove steaks from skillet and keep warm. Add garlic and shallots to skillet and saute for 3 to 5 minutes. Add champagne to deglaze the pan and then add mustard, salt, and tarragon. Remove skillet from heat and stir in sour cream. 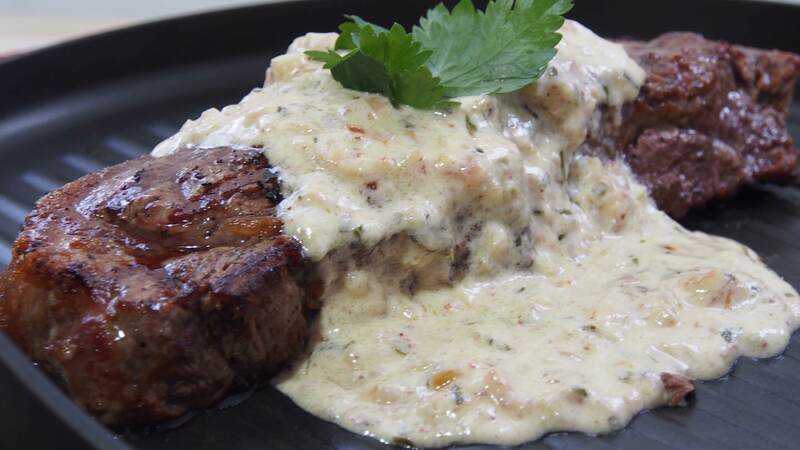 Serve sauce over steaks.